The 2018 Great Fish Community Challenge benefits 50 local charities. It launches July 26 and will run seven weeks ending on September 14 at 5 PM! In just three years running, the Great Fish Community Challenge has raised more than $4.5 million for over 45 charities. The 2017 Challenge raised just over $2 million, and the percentage match was 48% which gave nonprofits that reached or exceeded the maximum to be matched a $9,600 grant. The total match awarded was $407,000. Nonprofits in the Challenge raise money through the Great Fish Challenge platform and receive a percentage match on the first $20,000 donated to them. How does the Match work? Nonprofits in the Challenge work to raise as much money as they can through the Challenge.  The Community Foundation matches on the first $20,000 raised by each nonprofit. Once the Challenge is over, the Foundation adds all the funds raised by each nonprofit (up to $20,000 ) to total the eligible dollars to be matched. Then, the Foundation takes what has been donated to the Match Fund and stretches it over the eligible dollars to be matched. For example, if the eligible dollars to be matched is $865,000 and the Match Pool is $325,000, then the percentage Match will be 37% or 37 cents on every dollar raised up to $20,000. If a nonprofit has raised the maximum amount eligible to be matched of $20,000, they will receive a matching grant of $7,500. 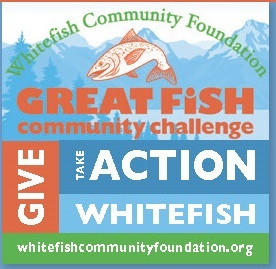 The Great Fish Community Challenge is organized by the Whitefish Community Foundation. The Challenge is free for participating charities. The idea is to bring awareness to the participating nonprofits and the programs they work to provide our community. Make a Donation to the Great Fish Challenge Match.